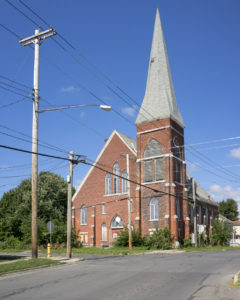 Central New York’s historic places of worship in urban neighborhoods face acute threats not only due to high costs of building repair and maintenance, but also because they are more apt for consolidation with other nearby congregations and may be in neighborhoods facing high levels of poverty and population decline. 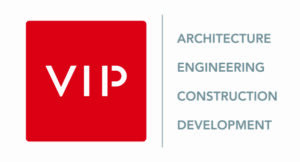 Once closed, there are often substantial challenges in finding new, economically viable uses that can sustain architecturally intricate buildings with large auditoriums. 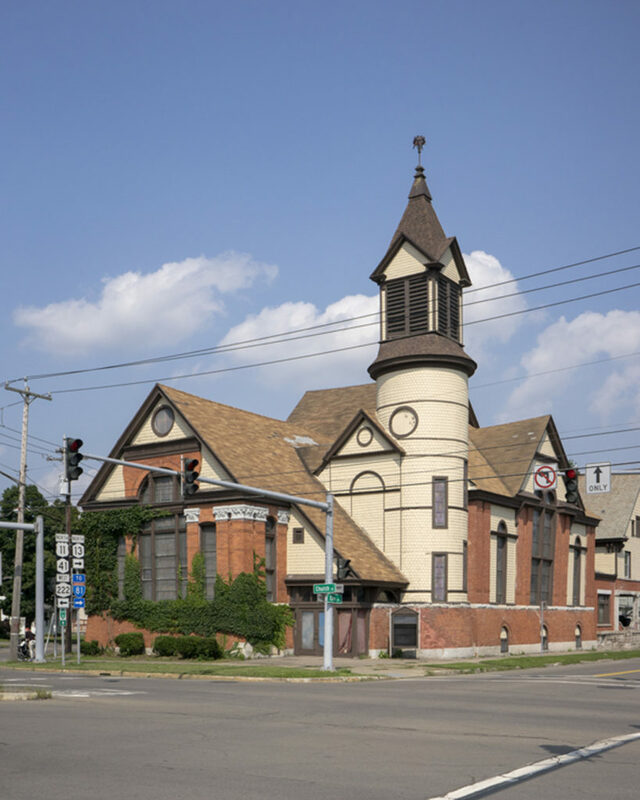 PACNY has selected three churches in Cortland, Auburn, and Syracuse—all vacant or underutilized for years—to illustrate these threats, but also potential opportunities as places where communities can come together through commerce, arts, and other uses. Located on NY Route 13 at the edge of downtown Cortland, the former First Congregational is a picturesque Romanesque Revival -style church with an attached parsonage designed by Syracuse architect A. L. Merrick and built in 1882-1883. While the current private owner has kept the church in good repair, a major structural issue may be beyond his means, and its present use as storage is not the best long-term use for the building. Another threat is a proposed redesign of Route 13 that calls for demolition of the building to create a round-a-bout intersection. Challenges for adaptive reuse include the church’s small land-locked triangular parcel, lack of parking, and repair costs. Despite this, the building has potential for adaptive reuse as commercial space due to its prominent location along Route 13 and its proximity to downtown Cortland. The church has been determined eligible for the National Register and rehabilitation could therefore take advantage of combined state and federal historic tax credits. Located across the street from the walls of the Auburn state prison, the former Wall Street Methodist is a National Register-listed Gothic Revival-style auditorium-plan brick church built in 1887. The building is also notable for its 19th century biracial congregation that counted Harriet Tubman’s nephew among its members. The church became home to Auburn’s A.M.E. Zion Church in 1993, but the congregation was unable to afford major roof repairs, and vacated the building in the early 2000s. The building has since stood vacant and its brick walls are crumbling. The building has recently changed ownership to a private individual who has not publicized plans for the property. Challenges for preservation and adaptive reuse include significant structural deterioration, the church’s location in a marginal neighborhood remote from downtown or other commercial areas, and its lack of local designation under Auburn’s preservation ordinance. Despite this, the building’s listing in the National Register makes it eligible for lucrative tax credits, and its spacious auditorium plan would make an ideal space for a community center, performance space, or a support facility for the state prison. 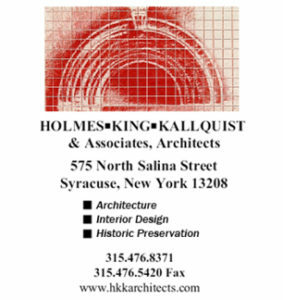 Located on South Salina Street south of downtown Syracuse, the former South Presbyterian is a large, National Register and locally designated Romanesque-style auditorium-plan church built in 1906 according to the design of S.O and H. A. Lacy of Binghamton. The building featured curved pews with seating for 1,100, a large attached parish house, massive organ, and most notably, art glass windows, interior lighting, and a tile-inlaid pulpit by Tiffany Studios. In 2006, the dwindling parish moved out of the building and contracted with a collector in California to sell the Tiffany windows and furnishings, which the City Planning Commission approved over the objection of the Syracuse Landmark Preservation Board. 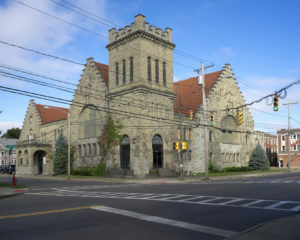 After being owned by another congregation that could not afford to maintain the building, the church was acquired by the Syracuse Land Bank, which has stabilized it, sponsored its listing in the National Register, and is actively seeking an owner who will rehabilitate the building. While South Presbyterian has the benefits and protection through national and local designation as well as the stewardship of the Land Bank, without viable use and ownership, it remains at risk. Despite issues related to the surrounding neighborhood and loss of its windows, its location on South Salina Street at the corner of Colvin Street sets it at a gateway to Syracuse University and downtown Syracuse. Its location would become more favorable should plans for I-81 include removing the elevated embankment, which would funnel new activity and life to the South Salina Street neighborhood that was once the major thoroughfare into Syracuse.